Ana Juric exists in a no-man’s land between who she was and who she is. 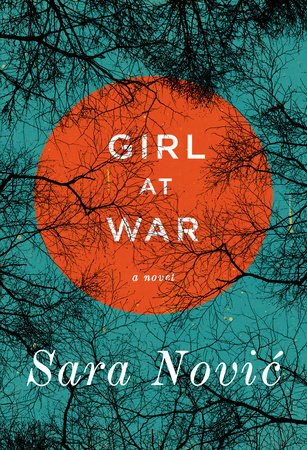 Her attempts to bridge the gap provide the fascinating narrative of Sara Novic’s debut novel Girl at War.The ten-year-old tomboy Ana has grown up in an increasingly partisan Zagreb as Yugoslavia disintegrates. Like many of the children she is still oblivious to the full implications of what is unfolding around them. Instead, she and her friend Luka revel in the increasing disruption to daily life, skipping school when they can, taking it in turns to pedal the cycle-powered electricity generator in the local bomb shelter. The sudden disappearance of one of their school friends is seen first in the context of robbing them of their best goalie. mass killings that were the signature of the widespread ethnic cleansing that accompanied the breakup of Yugoslavia. And it is impossible not to feel sympathy for the unthinkable actions that many of the children undertook, just to survive. When we meet Ana again she has “found solace” is studying literature at New York University, but the physical security of her new world cannot safe. She is becoming increasingly alienated from her adoptive parents and even from her sister, now named Rachel, who only knows life an American. Nightmares mean she can’t sleep and can’t focus on her studies. Her boyfriend, to whom she has told nothing about her background, is increasingly frustrated by her remoteness. She is drawn into speaking at the UN to talk about the impact of war on children and realizes that only by returning to her homeland can she face her innermost demons. Unheralded, she returns, surprised by how much things have reverted to a grey normalcy. It is a country she instantly recognizes. Those who survived have picked up their lives and continue as best they can. Memories both haunt and humanize. And it is to Luka that she again turns as she tries to find the missing pieces of the mental jigsaw that has tormented her. The strongest part of the book is the early years particularly the juxtaposition of the carefree nature of childhood games and the survival tactics Ana (and many other children) is forced to adopt as she struggles to survive alone after the murder of her parents. Using the child Ana’s voice to explain historical detail does occasionally jar slightly: “As a side effect of modern warfare, we had the peculiar privilege of watching the destruction of our country on television,” and “but instead of a sense of safety, the barricade imparted an air of naiveté.” The message may be accurate but the voice doesn’t ring true. But in Girl at War Novic (right) has created a powerful, gripping and very moving novel. I am not an expert on the intricacies of the Balkan conflict. As in all books that draw on historical events, we have to trust the author. What Novic does do very successfully is to convey the legacy of such bloody conflicts that continues long after the last bullet has been fired and, particularly, the insidious guilt of survival. 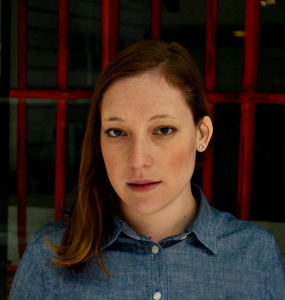 Girl at War by Sara Novic is published by Penguin Random House. Novic is a writer, professor and translator.